If you have a pet, then you may consider it a part of the family. You do everything you can to make sure they are loved, fed, and safe. However, sometimes, your pet’s safety can be out of your control. For instance, if you ride in a car with your pet, and you get in a car accident, they could get severly injured. Apart from the pains caused to your pet and your family, the veterinary bills can add up and drain your budget. So, now you’re probably wondering: can you get compensation when the injured passenger is a pet. The short answer is that it is possible. Reach out to a St. Louis car accident lawyer to talk about your legal options. Missouri law states that if you are the victim of a car accident, then you are entitled to compensation for your injuries and damages from the party at-fault. The law does not specifically mention whether pets fall under these categories, but since these proceedings most likely will go through the other driver’s insurance, they’ll be the ones to decide. Insurance companies tend to handle these cases differently, but if you work with a lawyer, they can argue the veterinary costs constitute a burden on you directly caused by the accident, and therefore you are entitled to be compensated for it, as it would not have happened if it weren’t for the accident. The amount you’ll be compensated, however, will depend on a few factors. In most cases, the pet’s age is taken into consideration, because older pets are more prone to complications. The argument here is that if the pet was younger, then the medical treatment it needs wouldn’t be as extensive as it would for older pets. Other factors that may influence the final sum of the compensation include the pet’s health history, purchase price, breed, and pedigree. In these cases, many insurance companies consider pets as property, so they analyze the situation by calculating the pet’s value and seeing the potential losses caused by the accident. Other methods insurance adjusters may use are calculating the cost of replacement, and factoring in any special economic values if the pet is trained to perform any special tasks (as it is with the case of guide dogs). All these details can factor in and influence the final amount. If you’re pet been injured in a car accident, your best shot for getting compensation to cover for the veterinary bills is to speak with a St. Louis car accident lawyer. Please contact one as soon as possible and discuss the details of the case with them. They can advise the best course of action to make sure your pet’s treatment gets compensated by the person who’s caused their injuries. Give us a call 24/7 at (314) 361-4242 for a FREE case evaluation. Dog Car Accident in St Louis, Who is Responsible? Put together the words “dog” and “accident”, and most people will think of bites. While one does not usually think dogs can cause car accidents, the reality shows quite a different story. Loose dogs on the road could potentially cause car crashes, putting the drivers, passengers, and the dog itself in great danger. If this happens, what are your options? In Missouri, pet owners are responsible for their pets. Therefore, aside from offering them the care they need, that can also mean liability in certain unfortunate situations. As such, the victims of a car accident caused by a loose dog will have to file a claim or a lawsuit against the dog owner to receive compensation. 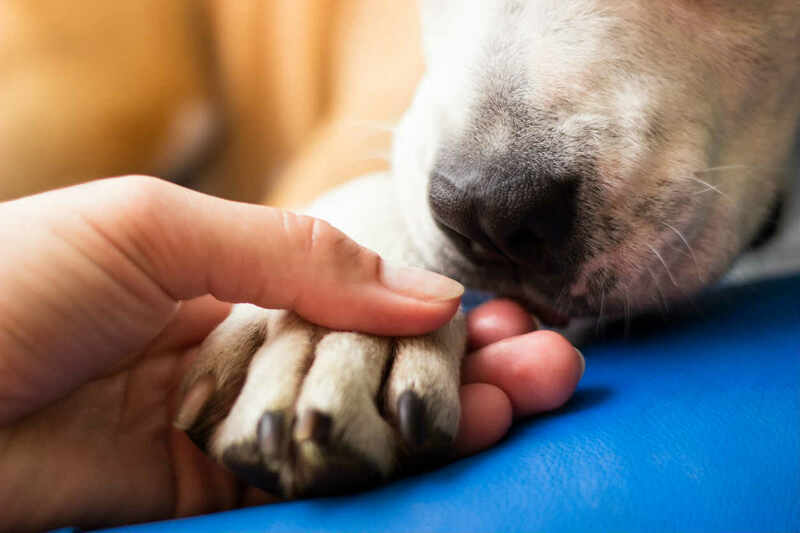 While the state has a law specifically about dog bites and how to proceed to get compensation for them, it does not say anything of other injuries that a dog can cause. Still, victims of a car accident caused by a dog can get compensation by filing a personal injury claim. However, you’ll also have to prove the dog owner was negligent to get compensation, which is not an easy process. Evidence will have to be gathered to show the owner did not take the proper precautions to secure the dog and avoid them roaming free on the roads. If that isn’t hard enough, there may also be an instance where the pet owner did properly secure their pet, but they just got away and ran into the streets. You may still have a chance to prove negligence, though it greatly depends on the details of the event. Keep in mind that Missouri is a pure comparative fault state, which means multiple parties can be found responsible (and liable for damages). For instance, the pet owner can be held 80% liable for total damages, because they did not take the necessary precautions to prevent their pup from running free into the road. However, you may also be found 20% responsible for causing property damage, in which case you too can be held liable for compensation. Because these cases are often quite complicated, it’s best not to go through them alone. The first thing you should do in these situations is to reach out to The Hoffmann Law Firm, L.L.C. and discuss your case. If you have been injured in a car accident caused by a loose dog, then the pet owner may be held accountable for this unfortunate situation. The success of your claim greatly depends on the circumstances of the accidents and how you can show the dog owner’s negligence was the direct cause for the accident. An experienced lawyer can guide you through this process and grow your chances of getting compensated for your injuries. It’s a parent’s worst nightmare, hearing their child has been injured on a school bus. You put your faith in these drivers, thinking your child will safely reach school or home, but the reality is that all means of transportation come with some level of risk. Most states, Missouri included, have extra traffic laws that protect school buses. As a result, the nation-wide statistics for accidents involving school buses are only at 0.4%. However, even if the number shows the chances are slim, it doesn’t mean accidents can’t happen. When they do, parents can be left wondering how to proceed. Missouri drivers are required to stop when a school bus stops to let students on or off the vehicle, whether it’s at the educational institution or in the area where the children live. Still, distracted drivers, or those who are too impatient to wait, can violate these rules and cause an unfortunate incident. When that happens, then the parents can ask for compensation from the at-fault driver. They can either file a personal injury claim on the child’s behalf with the driver’s insurance company, or even sue for negligence if the case warrants such a move. Your School Bus Accident Lawyer can advise you what is best for your case. However, there is also the possibility of the school bus driver being at-fault. In this case, matters can be more complicated. If the school bus driver is at fault, you may be able to recover compensation from the school district, which should have insurance for these type of events. Since they are a government entity, it can be quite difficult to demand compensation from them. The process is quite laborious and involves a lot more steps than if you’d be asking another driver for compensation. You should consult with your lawyer if this is the case. You will have to prove these other parties were negligent and caused the suffering of your child. It’s impossible to imagine what a parent feels when they find out their child has been injured. If you are in this situation, please contact a The Hoffmann Law Firm, L.L.C. to discuss your case and decide your next steps. Ride-sharing companies are becoming more and more popular. You can get a car at your front door with just a few taps on a smartphone. However, whenever someone gets injured during an Uber ride, the question is: who is held responsible? Even in cases where your Uber driver was at fault, it may prove difficult to get compensation for your injuries. This is why you should consider speaking with a St. Louis Uber accident attorney as soon as possible. There are some studies that suggest Uber and other such companies can often have a negative effect on traffic and increase the number of collisions. Whether this proves true or not, the victims of these accidents are often left wondering what is the best way they can get compensation. As a Missouri resident, you are generally entitled to collect damages sustained while in an Uber vehicle if it is found that the driver was responsible for the accident. Uber offers its drivers insurance that can protect them from loss of income or cover medical expenses for this exact reason. As such, you’ll typically have to collect damages from the Uber driver’s insurer. If, however, you intend to file a lawsuit, then chances are you will be dealing with the driver, and not the company. Uber drivers are independent contractors, and therefore the company generally cannot be held liable for the reckless actions of one of their drivers. Instead, any lawsuit will be filed against the driver of the vehicle that caused your injuries. The only possible scenario where the company is liable for a suit is if you prove negligence on their part, such as not doing their due diligence when screening potential drivers. If there is no proof of negligence, then the company will likely bear no responsiblity. Moreover, if the Uber driver is not at fault for the accident, then any claim you’ll want to file will likely be against the insurance company of the other driver. It can be very difficult to determine who is at fault in a car accident. Insurance companies will often conduct their investigations to determine who is the party responsible, particularly if someone files a claim against them. If they deem the accident was not caused by the individual they insure, it’s possible they can dismiss the claim. It’s best to work with a good St. Louis car accident lawyer, especially if they also have experience in handling cases involving Uber or other ride-sharing companies. They will review your case and recommend the best course of action to get compensated, so don’t hesitate to ask for their help if you’re in this situation. Give us a call 24/7 at (314) 361-4242 and we can review your case free of charge. Every industry is getting significantly smarter with the rise of technology. Cars are no different. While autonomous driving capabilities dominate the headlines, manufacturers are already incorporating highly useful driver assist features in their vehicles. Here's what this industry shift may mean for you. Though there are scores of technologies to choose from, the following are some of the most common of them. Cruise control systems that adjust themselves based on the traffic ahead. Headlights that automatically go on and off based on visibility. Sensors that brake for you if you’re about to rear-end another driver. Sensors that tell you when someone is in your blind spot. Warning notifications for when you drift out of your lane. If you understand what causes car accidents, you will see how much safer these technologies will make you. For example, rear-end collisions are among the most common types of car accidents. Whether that is due to intoxication, distraction, or any other reason, people frequently see damage to their property and health after these crashes. What a capability like brake assistance can do is either slow you down significantly before making contact or help you avoid it entirely. The other features we listed above will have similar positive effects. Unfortunately, the roads don’t seem to be getting significantly safer just yet. One reason why is that many of these technologies are in their infancy and are not effective enough to avoid every accident. The more significant factor is that some drivers seem to be getting worse, with the most likely explanation for that trend being distraction due to cell phones. Hopefully, we can see crashes and fatalities fall significantly in the coming future due to greater advances, improved driver behavior, or both. There are two primary ideas that you can take away from this discussion. Update Your Vehicle - There are very few assistive technologies that you can get installed in your car. Instead, it will generally take buying a new vehicle to get them. While you shouldn’t make a purchase you can’t afford, you might want to look at safety capabilities next time you’re in the market for a new car. Keep Driving Properly - Don’t think that having these technologies allows you to slack off on safety habits. The better strategy is to keep driving well and enjoy even greater security through added features. What is so great about driver assist capabilities is that your safety will hopefully increase as they get better. Unfortunately, these technologies are not advanced enough to keep you 100% safe. In the event of a collision, your best bet is speaking with an experienced St. Louis car accident attorney to represent you. Doing so will give you an advocate in the complicated world of personal injury liability and a better shot at obtaining benefits for your damages. Roads become especially hazardous after the sun goes down. The most likely reasons why include low-light conditions, intoxication, and fatigue. No matter what the explanation is, you can use the following seven methods to stay safe while driving at night. Though this safety tip is obvious, we still must stress its importance. Headlights help you in two ways. The first is illuminating the road in front of you so that you can see hazards and avoid them. The second is telling other cars where you are so they don’t accidentally hit you. Of all the recommendations we can give, having functional headlights and using them is the most useful. One of the most problematic aspects of driving at night is other drivers shining their headlights through your windshield and in your mirrors. What makes it even worse is when they are dirty, which only exacerbates the glare. You can fight this effect by keeping your windows and mirrors clean. Driving gets a bit harder in low light conditions, which makes bad drivers even worse. Avoiding accidents with these people mostly comes down to giving them space. Doing so will provide you with more time to stop or evade them if they make an erratic move. Nighttime is when the most drivers are either tired, intoxicated, or both. Additionally, many people just have trouble seeing in low light conditions and their driving skills deteriorates as a result. No matter what is going on with them, if you see them acting erratically, try to get away from them as soon as you can. Between drunk people coming out of bars, joggers, and everyone else that roams the streets at night, there are a lot of St. Louis residents that you must watch out for. While some of them wear reflective gear, many do not. That choice increases your responsibility to drive with caution. Though there are many dangers on the road, you can avoid most of them when you have enough time to react. Unfortunately, traveling at high speeds reduces your ability to do so. This is why keeping your pace a bit lower than usual is a smart strategy. If you’re driving through the night, you might find yourself becoming fatigued. If so, don't try to suppress that feeling and soldier through, as that choice can mean getting into an accident. What you can do instead is take breaks throughout your drive and stay alert as a result. Have you ever heard the term “frivolous” used in a legal setting? Because of the rise in legal television shows, you don’t have to be an attorney to be familiar with the word. Still, you might not understand what it means in the context of a car accident injury case and how insurance companies might use it to take advantage of you. We explain these concepts in the sections below. The definition of this term, in a legal context, is a lawsuit that does not have legitimate principles or value behind it. The following are a few typical examples of frivolous claims. When the intent of the lawsuit is to cause pain or monetary cost towards the other party. When no laws backup your claims. When you do not have evidence on your side and cannot reasonably attain it through the discovery process. Essentially, a frivolous claim is one in which you have no chance of winning or your intent is something other than seeking justice. If your case legitimately fits into this category, it is in your best interest to not pursue it. The opposite of a frivolous claim is one that is legitimate. Such is the case with most personal injury lawsuits after car accidents, where the client satisfies one or many of the following benchmarks. The other party assumes the majority of the liability. You amassed medical bills, missed work, and incurred a variety of other costs. The two factors that separate these two types of claims are evidence and intent. If you have proof on your side and want to attain justice, then you can be confident your lawsuit is not frivolous. The unfortunate truth about car accident injuries is that your opponent may use this term to dissuade you from pursuing compensation. What will often happen is you will have a meeting with them to discuss your damages and how much they will help you. Then, they tell you that your potential claim is frivolous based on the current evidence. There is no way of knowing whether or not they are being truthful if you do not have legal training. The best way to protect yourself is getting an outside, expert opinion. While insurance companies likely know what they’re talking about, it is in their best interest to make you settle for less, as that leads to less of a financial burden for them. When you talk to a lawyer, you will get an unbiased opinion on whether or not your claim is frivolous, what your chances are at winning, and how much compensation you might be able to attain. While some insurance companies are honest, there are too many that aren’t. Instead, your best bet is consulting with a St. Louis car accident attorney and getting an honest opinion about your case. Doing so will lead to a greater understanding of your situation and a better chance at attaining the full amount of compensation you are legally entitled to. Are Massages an Effective Form of Treatment After a Car Accident? Car accident injuries should consider every effective medical treatment option on the table. For some this is regular massages, which are proven to provide a variety of positive benefits to those who have experienced injuries. Here are a few of those benefits. Pain Reduction - One assertion that researchers have proven over and over again is that massage can reduce pain. This factor can be crucial for those that have suffered a car accident because their discomfort is often excruciating. Fortunately, regular trips to the masseuse can provide some relief. Fast Recovery - A beautiful thing about the human body is that is will heal itself as well as it can. The result is that many forms of damage are manageable, given enough time. Still, waiting years for a full recovery is not optimal. What massages can do is speed of the healing process of muscles and other connective tissue, which allows you get back to normal as quickly as possible. Reduced Swelling - The reason your body undergoes swelling is that it is trying to heal. As a result, it sends blood and other materials to a spot in your body to give it everything it needs. What often happens, though, is that the swelling becomes excessive and starts to cause pain. Massage is an excellent option because it reduces this effect. Increased Flexibility - Damage to the body often causes a decrease in flexibility, which can negatively impact your quality of life. This is yet another issue that massage can help with. Whether you should consider this treatment option or not depends on the nature of your injuries. Ailments like joint pain, whiplash, and general back issues definitely warrant researching massage. On the other hand, an injury like a concussion might not. The other factor that matters is severity. Minor injuries likely do not justify massage, while moderate ones do. An alternative option to look into is physical therapy, which is a similar medical practice. Usually, these types of therapists will incorporate massage, ice, heat, ultrasound, and targeted exercises in their treatment. The general rule of thumb is that those with severe injuries should probably see a physical therapist, while people with more moderate issues may opt for massage only. Anyone who has been to a massage therapist will tell you that they are not cheap, especially when you get regular treatment. Forutnately, you might be able to get them paid for by the liable parties in your car crash. This option is best explored with the assistance of an experienced St. Louis car accident attorney. After suffering a car accident injury, your top priority should be your health. You need to get back to feeling right, and one of the ways you might do so may be through regular massages. If you and your doctor decide to go in that direction, it is best to speak with your attorney to ensure your legal right to compensation is protected. Fall has officially begin. In a place like St. Louis, that means a variety of driving factors changing. Of them, the most significant are the weather, schools being back in session, and leaves falling from trees. Each of these conditions comes with its fair share of danger, so understanding how to deal with them is critical. Below, we give our top safety tips for Fall. If you commit to following them, you’ll increase your chances of avoiding a St. Louis car accident. Though keeping your vehicle maintained is essential year-round, the turn of the season is a convenient time to do regular checks. The most important of them include tires and brakes, due to how critical they are in inclement weather. When the streets are wet or snowy, you need to have as much friction and stopping power as possible. If you have sufficient tread on your tires and your brakes are in proper condition, you will have much more control over your vehicle. Additionally, a trip to the mechanic can reveal other vehicle issues, which can also be resolved. When Fall comes, so does rain and fog. To keep yourself and other drivers safe, you should review responsible driving rules for each of these conditions. In short, you should drive slowly and increase your following distance in the rain. For the fog, both of those apply, and you should also remember to use your low beams, rather than high. Most parents love when Fall comes around because their kids go back to school. Whether you are a parent or not, this change also comes with driving safety consequences. When you are driving in school zones, there are two things you need to worry about. First is safety. Children tend to run into the road without looking, so keep your attention on the road and slow down when in school zones. Second, roads have different laws around schools, namely lessened speed limits. Because of this, you should always slow down significantly during school hours to avoid a ticket. As the mornings become foggy, the glare you experience as a driver increases. To combat this effect, you can use polarized sunglasses or in-car visors to block the sun. In the worst cases, you should reduce your speed until the glare has passed. Though Fall in St. Louis is one of the most beautiful times of the year, it comes with a few critical road dangers. To avoid an accident this season, follow the safety tips on this list and take a defensive attitude towards driving. If you do so but still get hit by another driver, speak with a St. Louis car accident attorney 24/7 at (314) 361-4242. If you are involved in a St. Louis car crash, every subsequent step you take should be approached cautiously. That includes seeking medical treatment, gathering information, obtaining evidence, and hiring a St. Louis car accident attorney. When you hire your legal counsel, you don’t want to rush into your decision. A law office should not receive your business just because of a billboard or one personal reference. Instead, you should ask the 6 following questions. Do They Specialize in Car Accidents? Sometimes lawyers have a primary expertise but will dabble in car accident cases area on the side. You may want to think twice about hiring this type of law office. The reason for this is that you want your lawyer to have as much experience as possible. If an attorney specializes in car accident cases, you have a better chance of getting a favorable result. Do They Have a Track Record of Success? Even if a legal provider specializes in car accident cases, they might not be very skilled. This lack of skill will lead to unfavorable outcomes for their clients. If a lawyer has a habit of getting lousy settlement deals or losing trial cases, it is probably best to avoid them. One of the beauties of the internet is that we can research companies and see what other people are saying. The legal industry is no different. You can look on Yelp, Google, or other review sites to get an idea of how happy past clients have been. Additionally, you can request testimonials from a law office to see what their past clients have said. Have They Been to Trial? The best case scenario in your car accident claim is a generous settlement offer. Unfortunately, this is not always the case. Sometimes, you and your lawyer will decide that your best move is to take the case to trial. If this is the case, you will want an attorney with trial experience. Are They Willing to Give Personalized Service? Be wary of law offices that take a long time to get back to you, only correspond by email, or don’t offer personalized service. Instead, look for a lawyer that makes you feel like an individual. While your case might be taken care of quickly, there is a chance it could go on for months or years. If this is the case, you will be spending a lot of time together. The best way to prepare for this is by hiring somebody that you have chemistry with. The St. Louis car accident attorney you choose will play a vital role throughout your post-accident process. They will advise you, correspond with insurance companies, gather evidence, and go to trial if needed. Given how much money is on the line and how much time you could spend with them, choosing the right car accident lawyer is imperative. If you ask the 6 questions above, you will significantly increase your chances of choosing wisely.